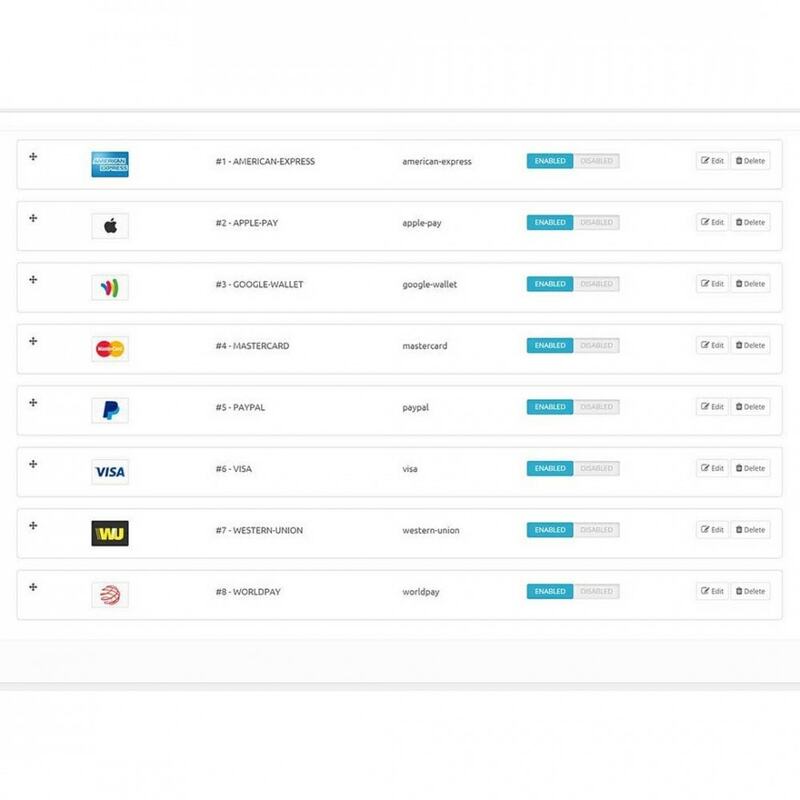 Comes with a number of common payment method icons pre-installed. If you need to change the icons for the payment methods you accept, add new icons, alter existing icons, you no longer have to create new custom graphics, simply edit, enable or disable each individually. Add a new payment method icon with a few clicks. Popular Payment Method Images Already Installed. Consistent In All Hook Placements throughout your site. Page Hooks; Left and Right Columns, Page Footer. Your customers can see clearly and quickly ways in which they can pay. 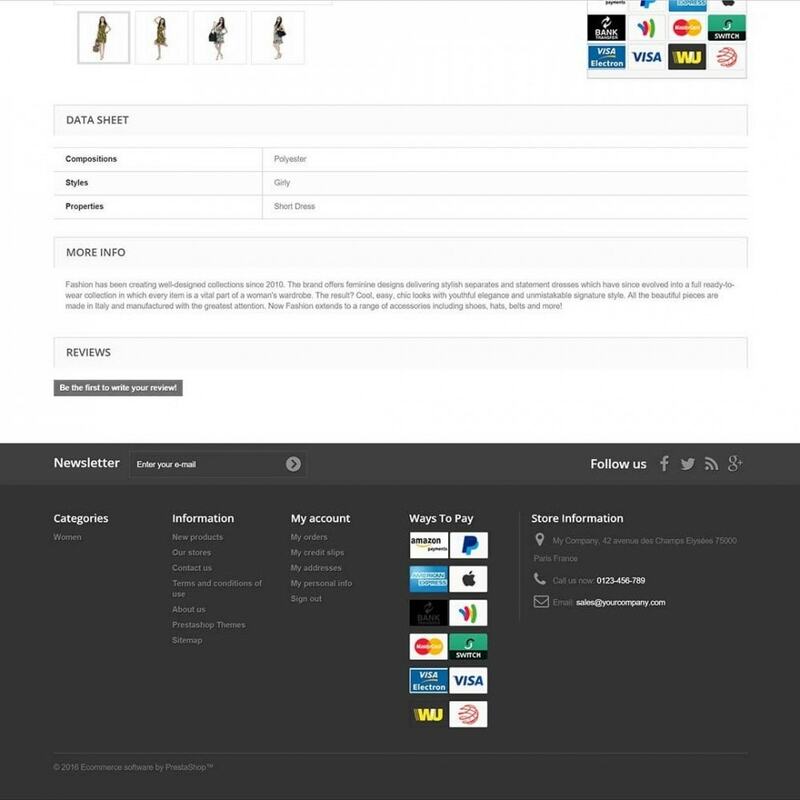 This module displays images for payment methods accpeted in your store, it does not provide the payment methods themselves. Simple installation. Install via module manager, disable the payment methods you do not require. Additional payment methods can be added quickly using the configuration form.